With support for Twitter, Facebook Pages and Profiles, Foursquare and LinkedIn, HootSuite for BlackBerry has quickly become the social media pro tool of choice for the dedicated ‘Berry user since launching in October 2010 to enthusiastic reviews. With the app now approaching a quarter million downloads, we’ve added to the functionality with Facebook Search & Events streams plus complete Twitter list management. Along with all the most social networks and geo-location tools, this Owl is ready to handle all your critical social activities on the go. 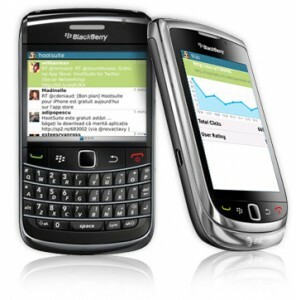 Have a feature request or an idea for HootSuite for BlackBerry? Visit the the Feature Request Forum to share. Looking for help using HootSuite for BlackBerry? Stop by the BlackBerry help articles and the BlackBerry community forums for useful articles and/or Tweet to @HootSuite_Help. 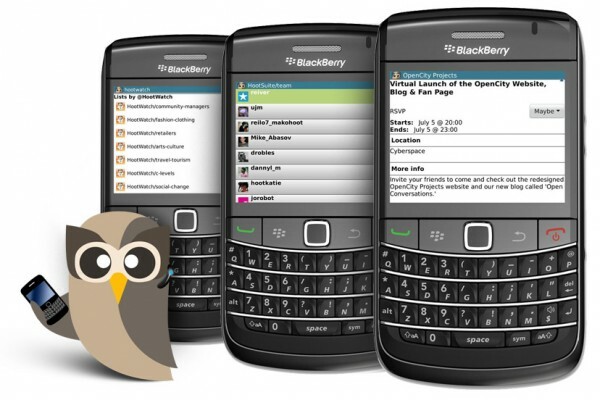 Finally, stay up with latest news about HootSuite for BlackBerry via @HootBerry. Update or download your HootSuite for BlackBerry for free. Tightly coupled with HootSuite for web for a seamless experience between version, this Owl is powerful, backwards compatible to version 4.2, and ready to help you stay on top of your social channels.